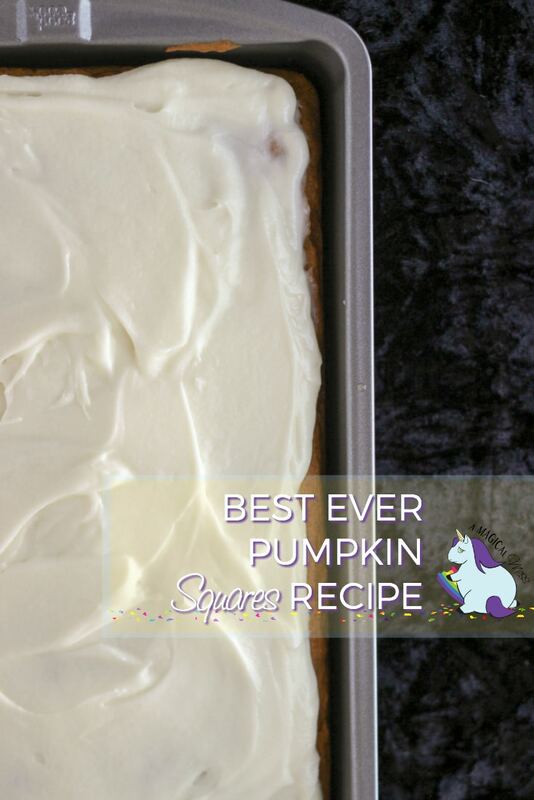 Pumpkin Squares Recipe - The Biggest Crowd Pleaser of the Season! This pumpkin squares recipe has been in the family for years. It was originally given to us by our aunt. We posted it a few years ago, but after looking back at the post, we decided it desperately needed to be updated. Rather than alter the original post, we decided to share it in a whole new light. And, of course, try this recipe. It’s super simple and always a crowd pleaser. No joke, everyone who tries these pumpkin squares is blown away. Even if you don’t like pumpkin, you’ll love these. You will need a non-stick large jelly roll pan for this recipe. Add wet ingredients–oil, pumpkin, and eggs–beating eggs one at a time into the dry mixture. Spray jelly roll pan with cooking spray. Pour batter into pan and spread evenly with a spatula. Bake in preheated oven for approximately 35 minutes. The pumpkin squares are done when a toothpick inserted into the center comes out clean. We prepared half a batch in these photos. Be sure to use a full size jelly roll pan (large cookie sheet with a lip) when preparing the full recipe. 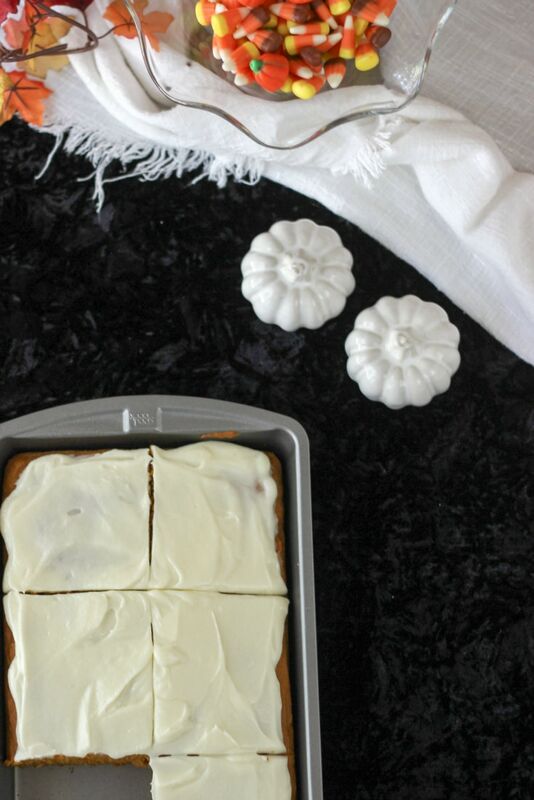 Once your pumpkin squares are fully cooled it’s time to frost them with this delicious cream cheese frosting recipe. Once frosted, cut into squares and serve. Or, store in the refrigerator in a covered container for up to about a week to ten days. For a little extra fall flavor, you can dust the tops of the frosted pumpkin squares with a tiny bit of nutmeg. We make these for Thanksgiving and Christmas–and, you know, whenever we have a taste for them. Because they’re just so darn yummy and don’t take too much effort to make. I once made these for a friend and he asked that they be his birthday treat every year for the rest of his life! I brought them to school and one girl thought they were carrot cake. When I told her they were pumpkin squares, she was shocked. She said she’d never of tried them because she hates anything pumpkin, but she LOVED these! We hope you try this pumpkin squares recipe and love it as much as we do. Let us know what you think in the comments below! Those pumpkin squares look delicious. When you add the cake mix and pudding mix do you use the same flavor? Bookmarked it to make soon. I am a huge Fall pumpkin fan! This looks so good, I can’t wait to try this recipe! These sound great! I am collecting Pumpkin Recipes! This dessert looks amazing. My family would love this recipe. Easy recipes are always great and this one really sounds yummy too. Cream cheese icing is always good! So glad you shared with us at Merry Monday. Pinning. This looks delicious. 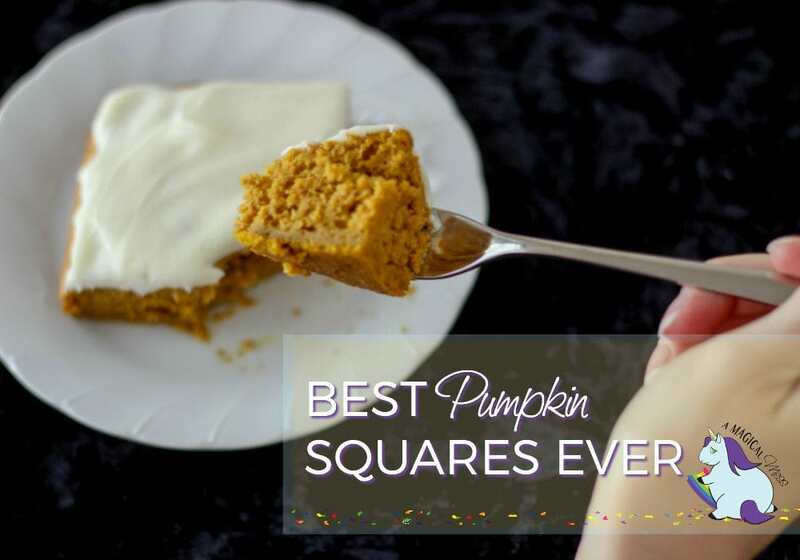 I have always liked pumpkin squares. I will eat them with or without frosting. But boy it is sure good. This would be excellent with aa nice cup of coffee right about now. Can’t wait to make these for the family. They love anything with pumpkin. This looks so yummy . i cant wait to make this. oh my this is a must have for the fall. 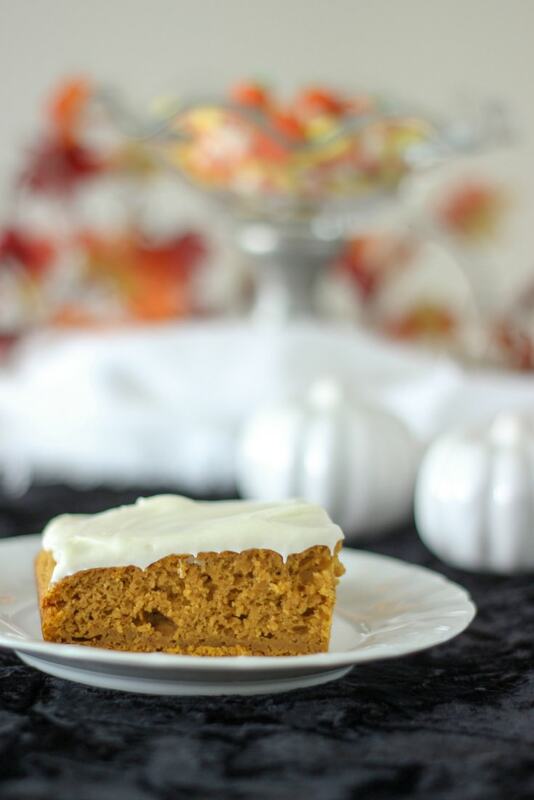 These pumpkin squares look delicious and the recipe is easy to make too. 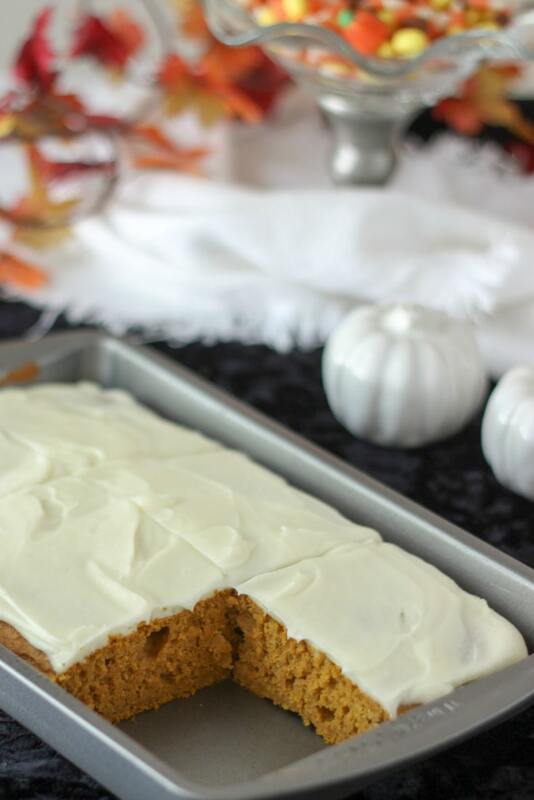 I love spice or pumpkin dessert recipes with cream cheese frosting.